Choosing a 5.1 acoustic system is a difficult task for most readers. There is nothing surprising about it, the market is filled with dozens of similar products. You can get information from multiple sources — articles in special magazines, web sites of manufacturers. But they sometimes provide only scarce descriptions and a list of characteristics, practically identical for all models. You can also read user reviews in forums, but not all of them are qualified for sane reviews. Forum posts often raise additional questions and doubts. A user has no choice but to choose speakers on his/her own. For Whom is This Article Written? This article is intended for those who want to buy active 5.1 speakers or who want to keep tabs on the latest achievements in this field. We publish a brief manual in the beginning of this article. Then we're going to analyze five most interesting sets of modern speakers. What are Active 5.1 Speakers? Active (powered) speakers are equipped with a built-in amplifier. You just connect them to a sound source, power them up, and they will work. As for passive speakers (for example, shelf Hi-Fi speakers), they require an external amplifier to be bought separately. 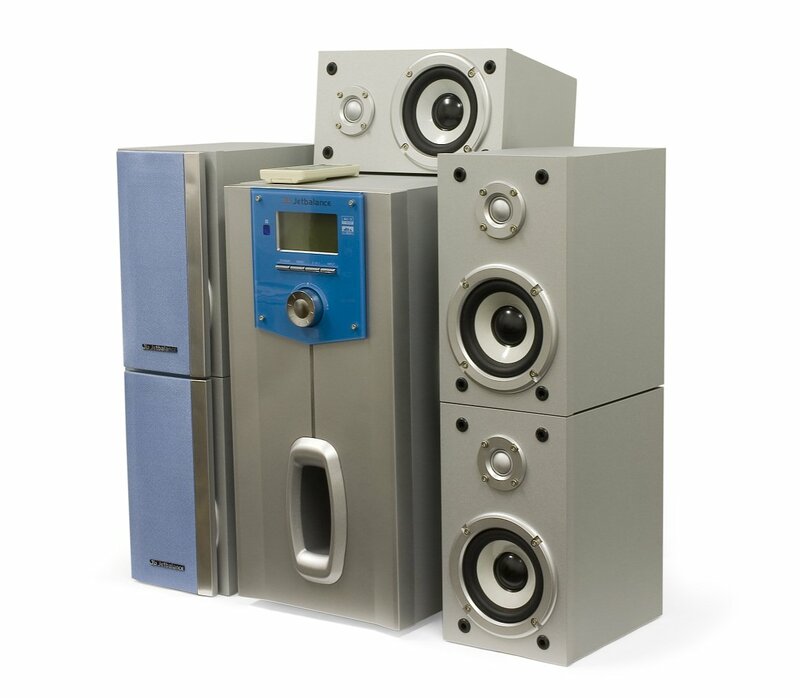 5.1 systems consist of 5 satellites and a subwoofer. PSU and an amplifier are usually built into a subwoofer. The rear panel of a subwoofer houses connectors. There are often several stereo inputs and a multi-channel analog input to connect to a computer or a DVD player with a built-in decoder. We are mostly interested in Mid-End speakers, $150-$250 with wooden cabinets (MDF) of satellites and more or less high-quality dynamic loudspeakers (rubber surround of a mid-range speaker, dome tweeter made of coated cloth). Cheaper speakers are more decorative than functional. You can choose them by photos and specs. Are there alternatives to ready acoustic sets? Of course, you can assemble your audio system from separate Hi-Fi components: a multi-channel AV receiver, a set of 5 speakers, an active subwoofer. But be ready for your expenses to grow at least to $400. What Can You Expect from Your Speakers? There exists a popular delusion that you can build a sterling home theater with your computer. 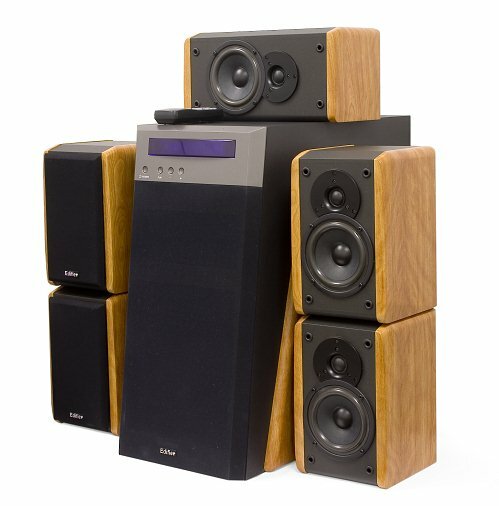 You are tempted to buy a 5.1 audio system of miniature speakers and to save room. Or you might stick to the opinion that you don't need loud audio, so you don't need "large" speakers. We'll shatter this myth. In practice, audio quality depends much on the diaphragm size. Small decorative speakers cannot provide good audio quality. Without going into details, there are some physical limitations. 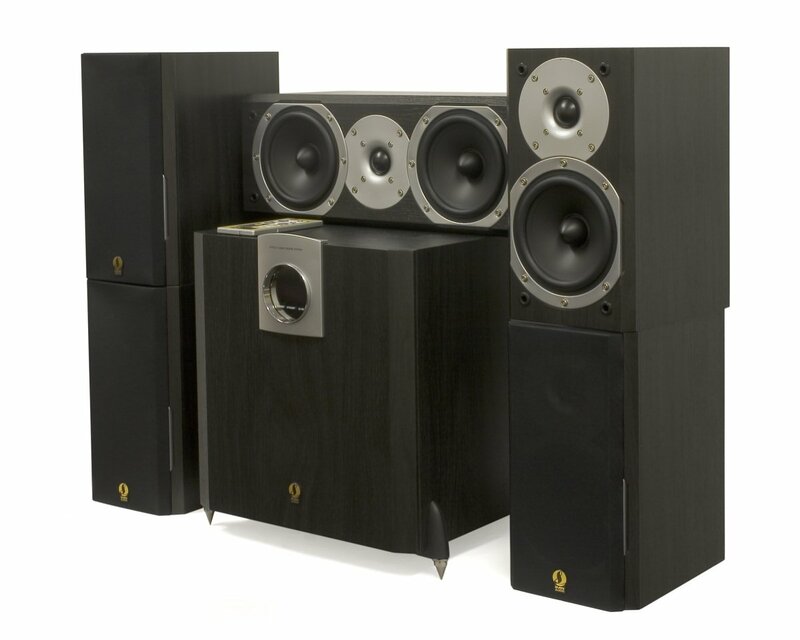 Larger speaker dimensions allow to design full-ranges. Firstly, they can be equipped with dynamic loudspeakers of much higher quality. Secondly, there appears room for separate speakers for HF and MF/LF ranges. Thirdly, the air volume inside can be used to amplify LF (bass-reflex topology). Cabinet dimensions themselves do not guarantee high quality, of course. 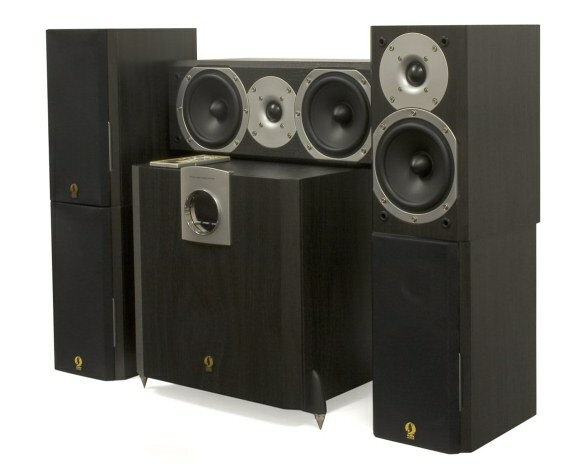 There exist inexpensive full-size speakers, which are close to decorative speakers in quality. But it's an exception. Summing it all up, we have chosen the most interesting speakers available on the market (Autumn 2006). They are top models in the lines of 5.1 acoustic systems from corresponding manufacturers. Let's proceed to our contenders. 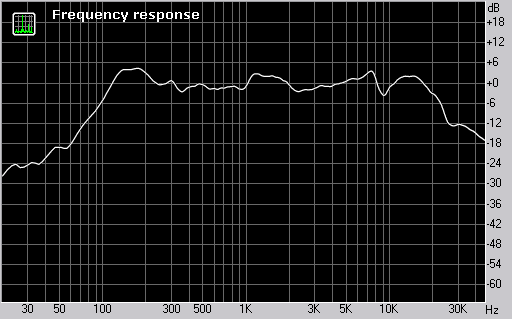 Let's publish key characteristics, as opposed to useless specifications, that really affect audio quality. We've published retail prices in a separate column on purpose. 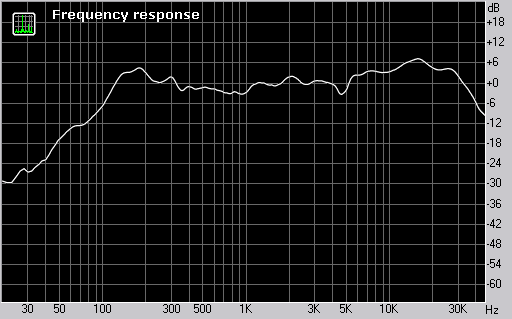 This parameter is taken into account, when we render a verdict about price/quality of acoustic sets. We tested our contenders according to our test procedure for acoustic sets. Measurements of satellites and subwoofers are published on a separate page, in order to make this article more readable. We have taken real samples from retail stores in Autumn 2006. We should allow for the fact that models of different manufacturing dates and batches may differ in the quality of components and audio. We publish descriptions of acoustic sets in alphabetic order. On the whole, Genius SW-HF5.1 5000 offers mediocre quality. The sound of Genius SW-HF5.1 5000 satellites is strongly colored in MF range. 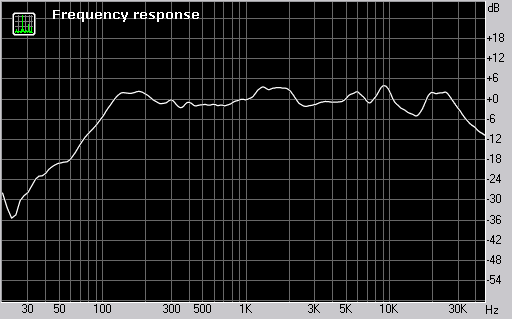 This drawback manifests itself in noticeable tonal distortion of instruments in these frequencies. The sound demonstrates a compression effect, which quickly tires your ears. High frequencies are sufficient. But due to lots of distortions, the HF range is not of high quality. Cymbals and percussion instruments sound pronounced, but there is not enough detail. Subwoofer of the SW-HF5.1 5000 set plays well. The subwoofer is of little use for playing music. Due to the compound topology, the subwoofer booms. The sound also demonstrates smeared attack and inaccurate bass rendition. This subwoofer performs better for movies playback, because its topology allows to reach high efficiency; and the working range of the subwoofer starts from 50 Hz. Genius is better. Edifier offers insufficient high frequencies, mid frequencies are strongly colored. Genius is better. Genius offers brighter audio quality. JetBalance offers insufficient low frequencies and even stronger tone coloring. Microlab is evidently better. Microlab sounds more comfortable, the sound is not colored so strongly and is not so compressed as in Genius. SVEN is evidently better. SVEN offers much more detail across the entire range. Audio quality of Edifier S5.1 is on the mediocre level. Satellites produce insufficient high frequencies. Adding them with the tone control increases distortions. Nevertheless, you can find a compromise and improve audio quality by rasing HF. There are insufficient details anyway. The mid-range shows tonal changes. The sound is not strongly colored, it would have manifested itself in the form of heavy tonal distortions of instruments. But at the same time, we can feel a trough in low frequencies, which results in dull sound. The closed box topology results in insufficient low frequencies. Potentially, this design offers higher chances for better MF and attack. But not in this case. This subwoofer is the best among our contenders. Engineers managed to implement the active LF speaker on a high level. There are no parasitic mid frequencies, the low range is good, and there is no booming typical of compound topologies. Edifier is a tad better. The tone is truer and details are better. SVEN is evidently better. Edifier is outperformed in saturation of high and low frequencies and in MF tones. Microlab is evidently better. Edifier offers insufficient high frequencies, mid frequencies are strongly colored. On the whole, Jetbalance JB-651CA puts up mediocre performance. First of all, you pay attention to lots of distortions at high frequencies. Mid range sounds quite free, but tone colors are strongly peaked. It results in deteriorated sound rendition in the most important range. With all its drawbacks, Jetbalance acoustic set sounds open. Rubber surround contributes to more comfortable sounding. Satellite amplifier is relatively weak, the subwoofer dominates, so you have to reduce its volume. High order harmonics reach the HF range resulting in parasitic sounds. The advantage of this acoustic set is rich LF. Microlab is evidently better. JB offers insufficient low frequencies and even stronger tone coloring. SVEN is evidently better. Jetbalance is significantly outperformed in HF saturation and MF quality. On the whole, Microlab A-500 sounds well. Due to the small diaphragm size (8 cm), the mid range does not sound well. There is a noticeable impaction effect. We'd like to hear open sounding. Insufficient details affects stereo panorama. Compared to mid range, high frequencies sound better and improve the overall impression. Despite some drawbacks, this acoustic set qualifies for its class. There are some tone distortions compared to reference sounding. But compared to Genius, JetBalance and Edifier offer more natural tones, sounding is generally clearer. There are insufficient low frequencies. It can be explained by the small size of the diaphragm and low efficiency of bass-reflex. The subwoofer covers some mid frequencies, so it's evidently located in space. Cross-over with steeper release would be welcome. Attack is normal. You'd better minimize volume of the subwoofer connected to stereo inputs, in order to get balanced sounding. When connected to 5.1 inputs, the subwoofer puts up more balanced performance. Microlab is evidently better. Genius highlights overcompensated MF, which make the sound tiresome. SVEN is a tad better. Microlab offers less low frequencies, less detail, and less natural tone. In our opinion, SVEN HA-1410T demonstrates the best audio quality among our contenders. Its audio quality is the closest to the reference sound owing to loudspeakers in the first place. Their class is higher than in products from other manufacturers. We should note maximum utilization of cabinet dimensions. Diaphragm size practically matches width of the front panel. Bit it does not mean that this acoustic set has no drawbacks. This 5.1-set costs about $300. But its satellites are still far from the quality of modern active stereo speakers, $50 for a couple. That's why we think that the quality potential has not been revealed completely. The main peculiarity of this set is open bright sounding in mid range without pronounced tone coloring. Good audio details make it comfortable to listen. High frequencies are better than in competing products. The problem is, nonuniformity tones high frequencies and compresses sounds in this range. Bass reflex of the satellites is not efficient enough - strong roll-off starts from 120 Hz. It sounds like insufficiently saturated bass. And for some unknown reason, the reflex port is designed for 50 Hz. Perhaps, engineers intended to give the LF range to the subwoofer. But the subwoofer does not sound impressive. 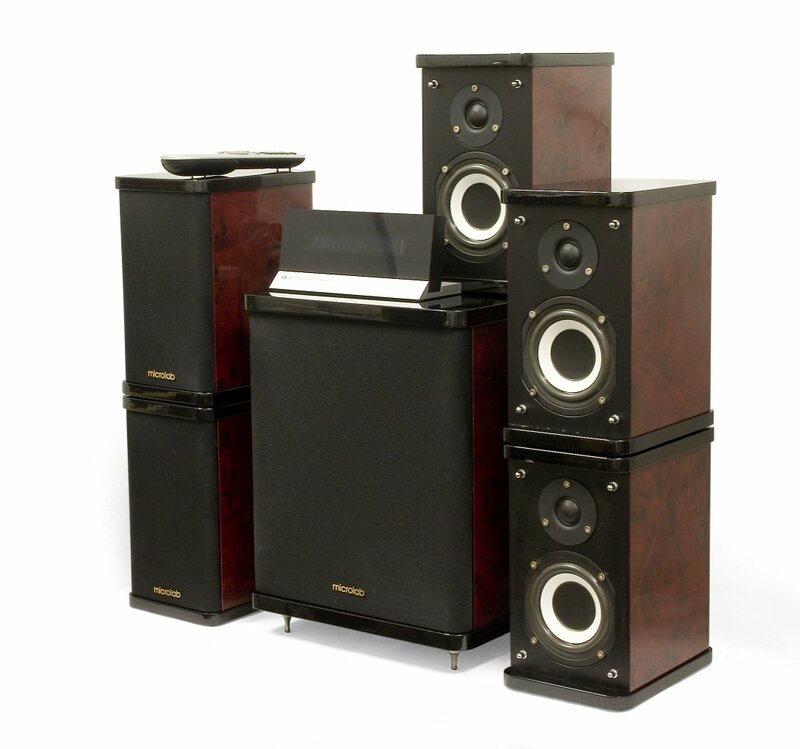 This acoustic set is bundled with a "woofer" instead of a "subwoofer" - some active LF speaker with the range from upper LF to lower MF, approximately from 40 Hz to 200 Hz. In our opinion, this subwoofer does not stand on the same level as its satellites. We know skills of this manufacturer by good active subwoofers, so this subwoofer is a failure. You just want to coordinate this acoustic set. For example, to adjust crossover frequencies. But you cannot do that. SVEN is evidently better. Genius highlights overcompensated MF, which make the sound tiresome. In our opinion, none of these acoustic sets reveals its quality potential completely. Even with their low prices, audio quality of satellites does not reach modern representatives of stereo speakers. 5.1 acoustic sets are getting better too slowly. The front satellite of the best acoustic set is worse than SOLO-1 stereo speakers (five year old), to say nothing of modern models. The best sets among our contenders are Microlab H-500 and SVEN HA-1410T. They are objectively the best here. At the same time, we should take into account their relatively high price - SVEN is almost twice as expensive as Genius. We shall give Crystal Sound awards to none of our contenders. Rather expensive Microlab and SVEN sets have some design flaws. Although SVEN offers the best audio quality of satellites, its subwoofer does not correspond to this level, so the HA-1410T does not get the Leader of the Class award. Microlab does not have such problems with its subwoofer. But considering large investments into design and royal lacquer, loudspeakers of the satellites remain submerged. Genius and JetBalance acoustic sets do not get the award for the outstanding price/quality due to their unsatisfactory sounding. Although a buyer saves a considerable sum of money, it's not expedient in our opinion. These sets did not go far from decorative speakers for a smaller price. 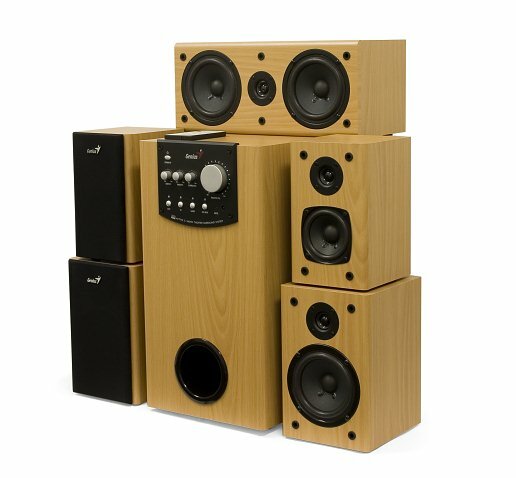 Edifier offers the best subwoofer among all our contenders. But its satellites should be replaced, from loudspeakers to the cabinet topology and volume. As a result, this acoustic set looks middling and gets no rewards either. We conclude our analysis on a cheerful note in the hope to see really competitive products without crying flaws and quality problems in satellites and subwoofers.